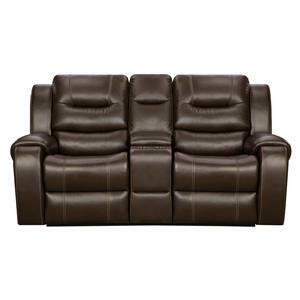 This reclining sofa features three seats for comfortable day to day use. 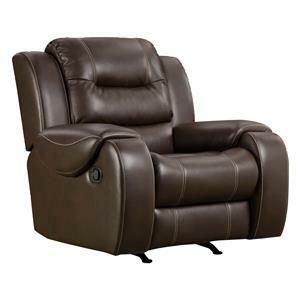 Like most items in the reclining furniture category, this piece features a casual design style yet it also has hints of contemporary fashion. The construction gives this sofa a sturdy frame while falling at a price point that is not out of reach. 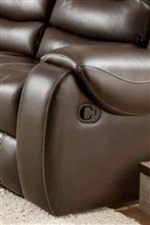 High density padding in the cushions provide support and comfort while the two reclining end seats offer laid-back comfort when the seats are reclined. 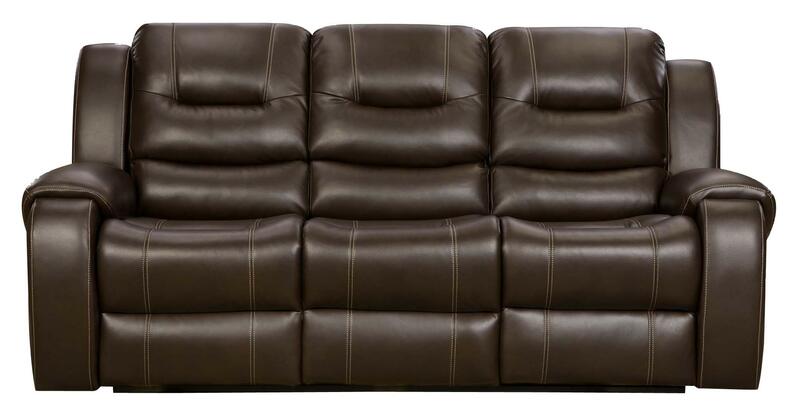 This Sofa features a Performance Fabric (breathable polyurethane) cover. 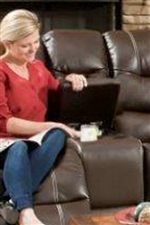 The Madison Reclining Sofa with 2 Reclining Seats at Belfort Furniture in the Washington DC, Northern Virginia, Maryland and Fairfax VA area. Product availability may vary. Contact us for the most current availability on this product. If you're looking for furniture with style and comfort at an affordable price point, then this collection may be worth considering. Designed to have a casual-contemporary appeal, this group of reclining furniture will decor your family room with a style that is perfect for weekend movies or gathering with friends. In terms of quality, this reclining furniture group offers a middle ground for sturdy frames and stylish design to meet. The frame of each piece in this collection is durable with coils and padding that provide a stable and comfortable sitting experience. This collection's quality should last your family quite a few years, without the price range making too big of a dent in your pocket. The Madison collection is a great option if you are looking for Casual furniture in the Washington DC, Northern Virginia, Maryland and Fairfax VA area.